Chorovaya Akademia, a much-acclaimed 16-voice a cappella male choir from Moscow, will make its first Vancouver appearance this coming week. 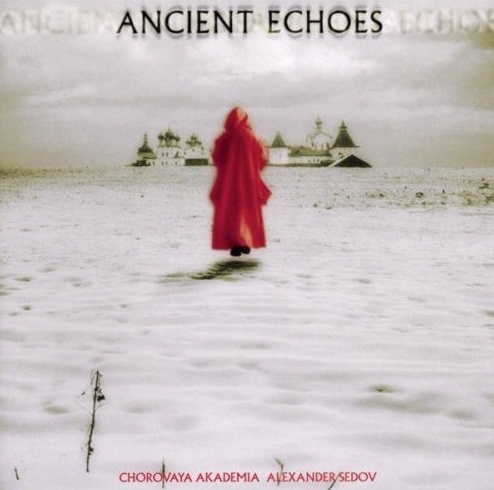 The ensemble has made several recordings, including the 1995 best-seller, Ancient Echoes. The concert, presented by the Friends of Chamber Music, will take place at Holy Rosary Cathedral February 20, at 8 pm. The first half of the scheduled program consists of the Liturgy of Saint John Chrysostom, composed in 1913 by Pavel Chesnokov (1877-1944). The work was suppressed for decades under the Soviet regime; the choir is giving this composition its first performances outside of Russia. Chesnokov is considered one of the most important 20th century Russian composers of sacred choral music. In addition to two Liturgies, one Vespers and two Requiems, he wrote more than 350 other choral pieces for church use — a remarkable achievement, considering that more than half of his life as a composer was spent under Communist rule. In the second half of their concert, Chorovaya Akademia will perform Living Constellations, by contemporary Russian composer Anton Viskov; the work was commissioned by the choir to celebrate the Third Millennium of Christ. It is divided into 12 sections, with poetic titles such as: ‘Morning of the World’; ‘In the Darkly Clouded Mirror of History’; ‘Beneath the Vault of the Universe’; ‘Beating of the Eternal Heart’; and ‘Before Thee, What are Writings and Laws?’ The text is based on the work of several 19th and 20th century Russian writers, and a 13th century Persian poet. Tickets will be available at the door, or Ticketmaster; call (604) 280-3311.